Oswald Boelcke received pilot training in the German Army Air Service in 1914, after which he was assigned to Fliegerabteilung 13. He served with this unit between September 1914 and February 1915, before being transferred to Fliegerabteilung 62, with which unit he flew armed two seaters. On 4th July 1915 he gained his first victory in aerial combat. His keenness to engage enemy aircraft duly noted, Oswald was then given a single seat Fokker monoplane to fly, and with this and subsequent monoplane aircraft his score rose rapidly. Following the death in combat of another German ace, Max Immelmann, in mid-1916, Boelcke was taken off operations, and sent on a tour of inspection to far-flung fronts. However, after it was decided to reorganise the German air service into dedicated fighter squadrons, he was recalled in July 1916 and given command of a new fighter squadron, Jagdstaffel 2. Following Jagdstaffel 2's formation, Boelcke led his new pilots into new heights in combat, and they soon became feared by the British units facing them on the Western Front. 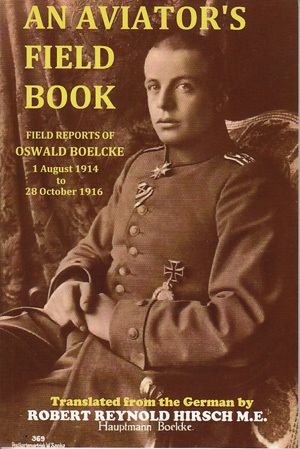 Between 2nd September and the end of October 1916, Oswald Boelcke brought his personal score of enemy aircraft shot down to 40, a staggering success rate that was rarely emulated before or after this by pilots on both sides of the conflict. Sadly, his phenomenal success and good fortune had run out. On 28th October 1916 he collided with a squadron mate during combat, and crashed to his death. 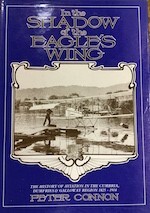 Following his death, Boelcke's field diary, together with some extracts from letters written home, were hastily turned into a book, and the latter was translated into English and republished in the United States as "An Aviator's Field Book".